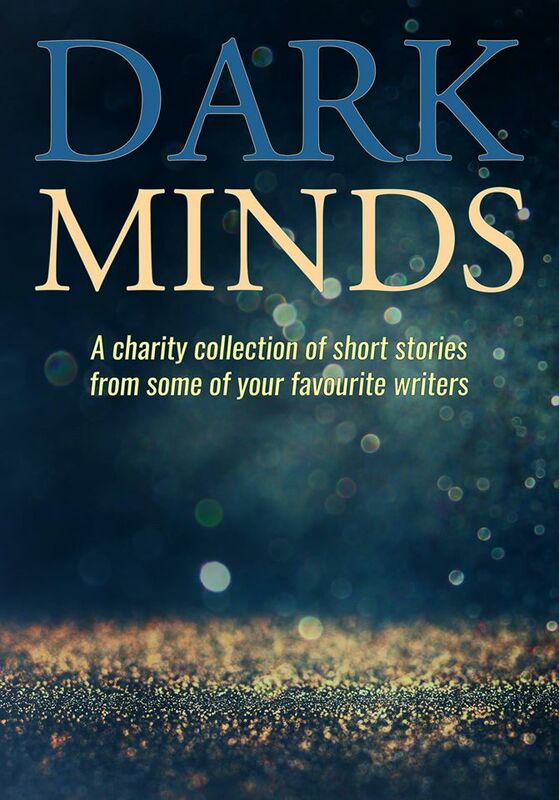 SJV Award shortlisted story, LONDON'S CRAWLING, was selected for the DARK MINDS charity collection. Available in ebook, paperback and audiobook. "Far too scary for me and I’d hate to be inside your head but I wanted to say what a fabulous way with words you have! Very engaging and some beautiful phrasing. You write VERY well. I won’t be able to sleep tonight though." "The one I’m going to mention is London’s Crawling by Emma Pullar, oh my, oh my this was one dark and creepy story, the authors descriptive writing allowed me to image the fear, the setting and much more, so much so it gave me the heebie jeebies. The author takes the reader on a terrifying trip through London, Jody is alone, with no signal on her phone, and someone appears to be following her, what happens next is blood curdling. Don’t think for one minute that just because they are short stories they are going to lack depth. London’s Crawling only took me five minutes to read, but it felt like much longer as the plot was so detailed. Emma Pullar certainly doesn’t lack imagination as each page of this short story was filled with horror and dread". "I really loved London's Crawling. I kinda wish it could be made into a full-length novel or I could even see it as a film! Totally creepy!!" "I've just read (again) your London's Crawling in the Dark Minds anthology and it deserves all the praise that's being heaped upon it. As disappointed as I was too when your original story didn't make the final Twisted selection, I do believe the additional words have taken it to a whole new level, so it's worked out in the end." "A sinister fog rolls into London bringing with it an even greater threat. The streets are empty. The Capital eerily silent - except for the scuttling! Wonderfully atmospheric, this eight-legged nightmare will have you on the edge of your seat." "I read London's Crawling. Yikes! Fantastically scary short with brilliant imagery and creepy tone. Will there be a LC2? It's a world that should be explored more... Your film poster should be the Silhouette in the dress - with tons of spider eyes shining in the dark shadows. I love the image you conjured." "Dark Minds may not be to everyone’s taste – it’s crime fiction, horror, fantasy, creepy and quite disturbing. All 40 stories have been selected for the authors’ ability to pen a short story with readability. Some are a little tongue in cheek; all are long enough to allow a story to be told and yet brief to enable a satisfied read. I’ve chosen just one, London’s Crawling by Emma Pullar, to review. Hers is not yet a name to be emblazoned across the headlines, but Dark Minds could well be the catalyst. Poor Jody Winters. She should have realised when the spider gets a creepy mention on the first page that her journey home in a thick London fog is not going to be a barrel of laughs. Then her mobile packs up, and then she meets the really horrible creatures. Fantasy and horror is not my genre, but this is a beautifully scripted story. The pace is frenetic, then allows the reader to breathe. A sudden development stops breathing entirely with a frightened gasp, and off the plot goes again at a gallop. There's a delightful ending, almost poetically relaxed in its denouement, until the reader fully understands just what ultimate horrors the writer has penned. A collective shudder is more final than a full stop." "I thoroughly enjoyed the creepy, scary, London's Crawling - not ordinarily my genre as I scare easily, but this was captivating... "
"My skin crawled while I read this. Just what a horror story should do." ​"Disturbing, but a cracking read; like all good horror should be!" "OMG!! Em, horror is definitely your thing!!!"